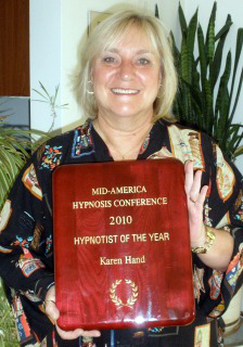 Now that Hypnosis is being highly suggested by Dr. Oz for relieving stress and for weight loss and smoking cessation, there is an increased interest in Hypnosis as a career path or in the personal use of Self-Hypnosis. Train in Regression Techniques, Parts Work and Forgiveness of Self and Others. The total cost of this course is $2,495. $100.00 discount for tuition paid before 2/15/14. $100.00 discount when you refer a friend for the same class who pays in full at first class. Payment plans also available for a reasonable 10% administration fee. To register, contact Karen at 312-315-2100. Classes start in June! Schedule to be annouced. Street parking is available or there's a parking lot 1.5 blocks south on the East side of Kimball. Light snacks, water, and coffee will be provided. Please bring a brown bag lunch unless otherwise advised. Events, videos, and discussion will continue through the half-hour lunch break.